I have a few herbs that I keep coming back to time and time again. These herbs are useful in most situations, and are typically herbs that are easy for most people to access. Aloe is one of these herbs. I recommend it for everything, to the point of my friends and family making fun of me about it. Whenever I say they should use something, they stop me before I finish and say variations of “I know, I know, Aloe.” If you’ve been reading this blog for the past several months you’ll also notice that aloe is a key ingredient in many of my recipes. So today, I’m writing about aloe. Aloe vera is in the Liliaceae (Lily) family. This spiky succulent is native to Africa and was well known by the ancient physicians of Egypt, it was even called the “plant of immortality” by them. As such, it was often given as burial gifts to pharaohs. Hippocrates documented over 14 different remedies using aloe. Alexander the Great even conquered a whole island just to ensure that his troupes had enough aloe to keep them healthy. Today it is still one of the most popular medicinal herbs in the world, and scientists have identified over 200 biologically active compounds in the plant. Pretty awesome for a plant that’s over 99% water. Most people know aloe is great for burns. Some people also know that it is great for wounds in general. This is such common knowledge that there have been a number of scientific studies done comparing aloe to other common burn and wound creams. 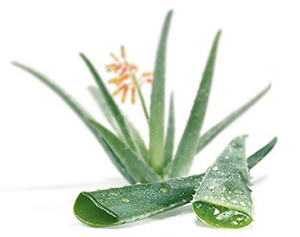 In most of them, aloe heals the wounds and burns faster by a significant amount of time. Aloe is also used to help treat other skin conditions such as eczema or psoriasis. But it doesn’t just work on external wounds. Aloe is great for internal sores as well, sores like mouth and stomach ulcers. 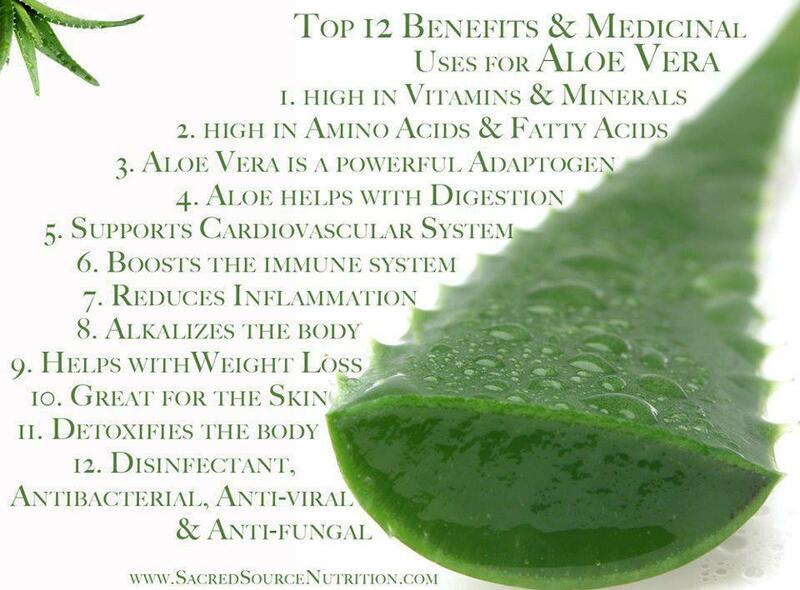 Aloe is also my favorite anti-inflammatory. It is so amazing at this that it can relieve internal inflammations with external application. This means that if you have inflammation in your gut, applying the aloe leaf to your abdomen may reduce that inflammation. Now if it is serious and reoccurring inflammation, please see your doctor! However, when I have a sore and swollen joint I always slice an aloe leaf and apply it (wrapping it with a bandage and elevating the joint for 20 minutes minimum). It almost always does the trick. I even worked with aloe when I tore a tendon in my foot, I’m convinced it was the aloe that helped to heal the tendon 3 months ahead of when I was told it would be healed. Aloe is also a really effective laxative. Especially the outer parts of the leaf. The gel will help improve digestion, but the outer leaf will make sure your sluggish digestion gets a move on. I don’t recommend the leaf for anything less than serious constipation. The gel and juice, however, can be taken daily to help keep things more regular, particularly in the case of IBS (irritable bowel syndrome). Aloe improves immune function. It can stimulate the immune system in people who have immune deficiencies. It can also reduce immune function in the case of excessive stimulus such as allergies. Because of this, scientists are currently research its effectiveness in HIV, AIDS, diabetes, and certain cancers. 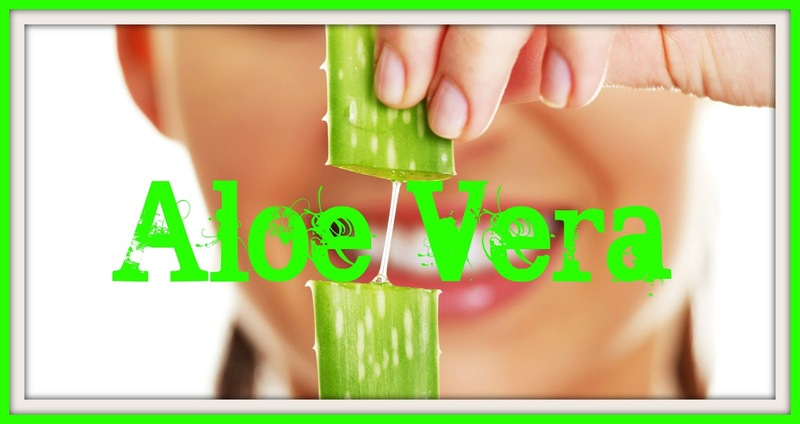 But for most of us, this means that a daily dose of aloe is good for immune health. When you combine all the benefits of aloe, it seems like there are limitless possibilities for how this plant can help. There’s really only one warning I can give with this herb, if you have a staph infection, please don’t try aloe. Aloe is the perfect breeding ground for the bacteria that causes staph infections. But don’t hesitate to use aloe in any other situation. It’s an antimicrobial (it fights bacteria, viruses, and fungi), anti-inflammatory, immune boosting, digestive aiding, and all around amazing powerhouse of wellness. I encourage everyone to have at least one of these plants in easy access to their home for first aid purposes, but taking a small amount every day is also of great benefit to almost everyone. And, it tastes pretty good in smoothies!